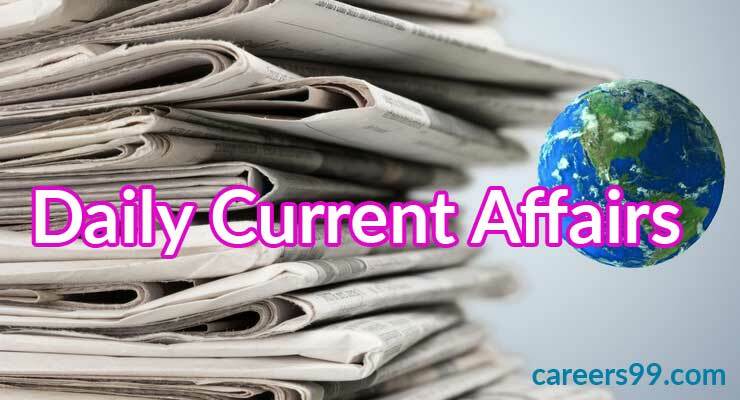 Today Current affairs of 26th August 2018 we mentioned here in this web page. People who are preparing for the upcoming competitive examinations for those citizens we are helping you to guide the Daily GK Current Affairs of 26th August 2018. In this website you can the complete details of current affairs and daily events in the world etc and so on. Citizens watch this web page and get the current affairs every day. Try to attempt all the bits correctly. European Space Agency (ESA) has successfully launched a wind-sensing satellite named Aeolus into orbit on board of Vega rocket from French Guyana. It is world’s first wind-sensing satellite dedicated to mapping Earth’s wind on a global scale in particular tropical winds which are very poorly mapped because of the almost complete absence of direct observations. · India’s Tejinder Pal Singh Toor wins the Gold medal in Men’s Shot Put final at the 18th Asian Games in Indonesia. He brought India its seventh gold medal by winning the men’s shot put event with an Asian Games record throw of 20.75 meters in Jakarta. US Senator John McCain,a celebrated Vietnam war hero, passed away after losing a battle to brain cancer. He was 81. The six-term senator, McCain was also a Republican presidential nominee in 2008. A fighter pilot during the Vietnam War, he spent more than five years as a prisoner of war after his plane was shot down. On August 26, 2018, the New Delhi-based think tank, Centre for Science and Environment (CSE)released its analysis – titled The Urban Commute in Kolkata on pollution in urban commute. India Banking Conclave 2018was held in New Delhi. The India Banking Conclave 2018 was organized by Centre for Economic Policy Research (CEPR). Knowledge Partner of the conclave was NITI Aayog. The conclave focused on reforming the banking sector.